It's time to change your Maryland Registered Agents! What is an Maryland Registered Agent? The state of Maryland requires Maryland LLCs and Maryland Corporations registered in the state to conduct business, have Maryland Registered Agent service. The Maryland Registered Agent you appoint for your company, will receive legal service and government notices on your behalf. The Articles of Incorporation or Organization for both domestic and foreign entities, ask for the address of the registered office to receive service of process. The Service of Process is a notice of a summons or a lawsuit. I just waned to thank IncSmart so much for all the help. These prices are too good to pass by. $49 a year. 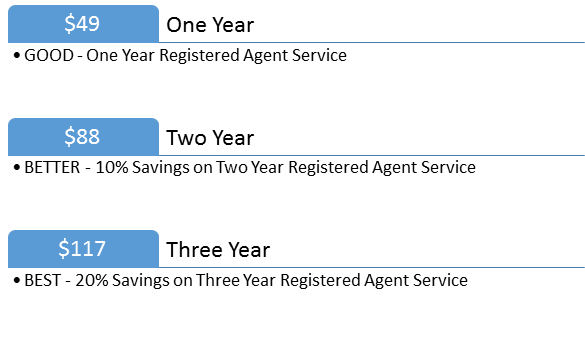 It looks like they have not increased registered agent prices in years. Love the friendly service. I ordered our new registered agent this morning and the registered agent information was in my email right away. That is why I chose IncSmart. Instant Service. Great service. No waiting. I ordered the registered agent service and I was able to file moments later. Love the log in page. All of my stuff is there. When where and what. Thanks to David, I will be recommending all my clients to IncSmart. These fees are awesome. No better deal on the internet. We ordered the registered agent service and the information was in our email right away. We finished our articles without having to wait. We also ordered the legal binder. It will be here in a few days I hope. 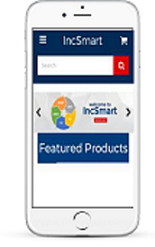 Great prices from IncSmart. We needed to change our agent in Maryland. The fees were over $200 a year. For what. I don't need a calendar for $200 a year. IncSmart fit the bill. The web site had everything we needed to file the changes with the state. Your prices are great. I am going to change my other company agents to you. Best way to make money is to save it. Glad you have offices in Maryland. We can save money using your company. 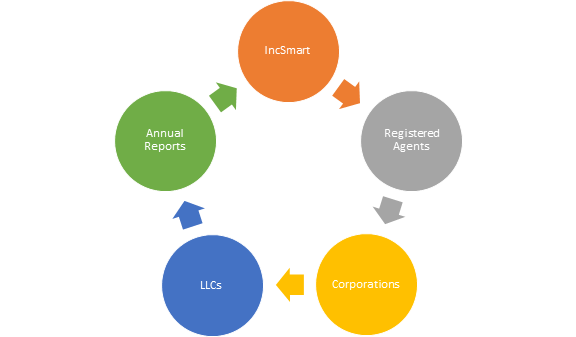 IncSmart Registered Agent fees. That says it all. We have three companies and we are changing all three to IncSmart. Our current agent fees go up almost every year. The "Instant Serice" keeps us coming back. We are able to file all or our documents instantly using you as our agent. We were looking for a better deal on Registered Agents on the internet. They are many. But we called around, and IncSmart seemed to know more about registered agent services than the other companies. We chose Incsmart. So far so good. A: You can. Just give us a name you are thinking about using. You can change the name with us at any time. You can call the company George Company to start. Q: If my Virginia company starts doing business in Maryland I need to submit a Foreign Qualification with Maryland. Does your registered agent also do Foreign companies ? A: Yes, when you register your Virginia company in Maryland, we can be your Maryland registered agent foreign and domestic. Q: What city is your Maryland Registered Agent in? 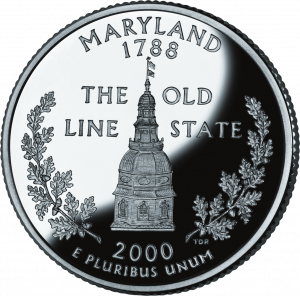 Q: What is the fee that Maryland charges to change Registered Agents? A: The change fee is $25. IncSmart Maryland Registered Agent will alert you in a timely manner about all documents and service of process received as your registered agent. The state of Maryland requires Maryland LLCs and Maryland Corporations registered in the state to conduct business, have Maryland Registered Agent service. The Maryland Registered Agent you appoint for your company, will receive legal service and government notices on your behalf. The Articles of Incorporation or Organization for both domestic and foreign entities, ask for the address of the registered office to receive service of process. The Service of Process is a notice of a summons or a lawsuit. Now you too can have a Maryland attorney on retainer.